I dislike wishing time away. I’m an “in the moment” type of person. But I am also a planner. A list-maker. An organizer. Sometimes to a fault. As much as I like to pretend I am spontaneous, making a plan creeps into my psyche. When I saw all the posts for Halloween reads and literary costumes, I realized that there are only about 9 weeks left of 2014! How did this happen? So…the listy girl in me went through all the books on my shelves, in my ereader, at the library, on my Goodreads TBR list and tried to come up with what I want to read before the year is over. I’m technically “FREE” right now. I have only 4 books that are considered required reading before the year’s end. Three for two book clubs and one for a book tour. I mentioned my state of “Backlist Bliss” in Monday’s post because that’s how I feel when I get to choose what I read. I ultimately choose every book but sometimes I spread myself thin by saying yes to ARCs and tours and author requests. I know for 2015 I am not only going to promote up and coming new releases but make sure to spend my time reading as much backlist as possible. And there are the various ARCs/classics/YA/children’s that might just sneak in that I missed along the way. I’m moody and I work in a library. It could all change tomorrow. But I’m going to really try to get these 14 in before year’s end. That’s about one and a half a week with about 5,000 pages in all! Yes, some are chunksters but hey, I’m up for the challenge. What books are you planning/hoping to read before 2014 comes to a close? If you want to join in on the type A list making please link you post in your comments. I’d love to see them! How about we call it #2014readingcountdown. Tags: #2014readingcountdown, 2014 new releases, backlist bliss, backlist books, book club books, reading countdown for 2014. Bookmark the permalink. What a great list! There are dozens of books I’d like to read before the end of the year, but I’m not going to make a list because I know I’ll be disappointed . . . and those books aren’t going anywhere. January is a quiet month, with lots of extra reading time! ‘The Book Thief, Unbroken,’ and ‘The Light Between Oceans’ are all amazing. ‘Light’ was a book club selection for me as well and made for a great discussion. I have a few books I’m obligated to read due to book clubs before the end of the year, but the one I want to read for myself will be the last book in my ‘When Are You Reading? Challenge’ which is 13 books set in different time periods. I’m missing 1890-1909 (really hard, by the way) so I’m going to search for a book set in that period. What a great challenge! No books come to mind between 1890-1909. Good luck!! Some great books on your list! The Handmaid’s Tale and The Bell Jar are two of my all-time favorites, and The Goldfinch is fantastic! Thanks! YOU are the reason I am now reading The Handmaid’s Tale. 🙂 I’m really enjoying it and can’t put it down. It’s making me very anxious and upset but in a good way! Her writing is top notch. You’ve got some great reading ahead! I’m in the same place myself- burned out by all the release date reading I’ve done this year and while I don’t have a post about it here are a few of my picks to read in the next two months: Stoner, Divergent, The Storied Life of A.J. Fikry, and An Untamed State. Isn’t it freeing to just read all the books that were put on hold?! I’ve read all on your list except Stoner and enjoyed every one. Enjoy! Nice list….I don’t think I have read any of them, though, but have heard of them. Very nice blog…I don’t think I have visited before. Going to follow by E-mail. ENJOY your reading week. I found your blog on comments in River City Reading’s Blog. The Book Thief is on my list too, if i have a list. It’s more a general pile of books I’d like to read before Christmas, but it’s too big for me to read all of them. 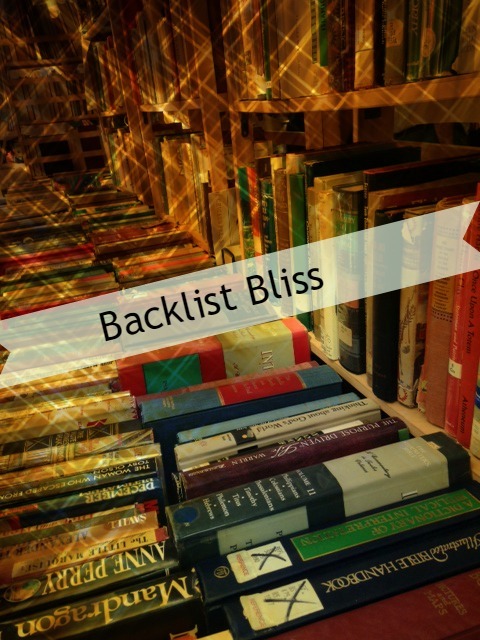 Good luck with Backlist Bliss! !